Starbucks Corp. (SBUX.O) on Tuesday announced plans for a new tiered structure to its loyalty program that will allow customers to redeem rewards sooner. The Seattle-based coffee chain said that while customers will continue to earn two “stars” for every dollar spent, starting April 16 members will be able to redeem rewards immediately after joining the program. Currently, members need to collect 300 “stars” before they can earn rewards. In addition, the tiered structure will mean customers can redeem as little as 25 stars for smaller rewards, such as an extra espresso shot, dairy substitute or additional flavour. However, the changes also mean customers will need to spend more money at the coffee chain for some rewards, such as a handcrafted drink, which now requires 150 stars. Currently, customers can redeem 125 stars for a handcrafted drink or food item. “By providing more options and more flexibility, we’re putting our members in the driver’s seat to choose what is most valuable for them at Starbucks," Peter Furnish, vice-president of marketing for Starbucks Canada, said in a release. 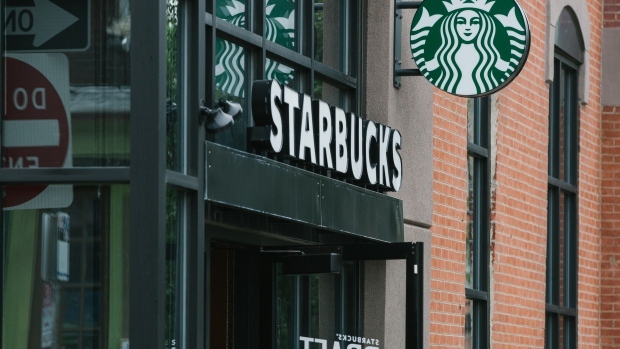 Starbucks sparked a backlash in 2016 when it changed its program to its current form, which effectively meant that customers would need to spend more money for rewards. Previously, members would receive one star per purchase and could redeem 12 stars for an item. Starbucks said in a release that its loyalty program currently has “millions of members in Canada” and has grown 25 per cent over the past two years. The change at Canadian and U.S. Starbucks stores comes as Tim Hortons prepares to launch its own loyalty program. The Canadian coffee-and-doughnut chain’s president, Alex Macedo, told BNN Bloomberg in February that the company is making final adjustments and expects to roll out its loyalty system “very soon” across the country.